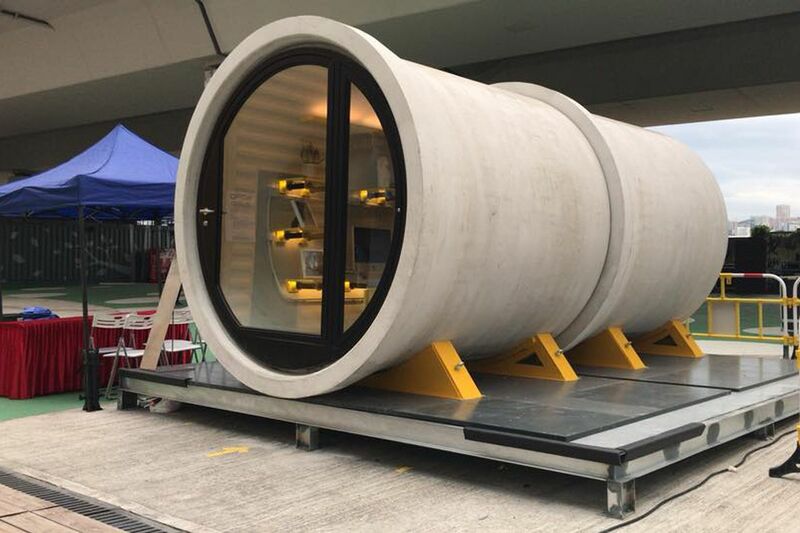 This seemingly simple concrete tube may not look exciting, but it is a step forward in micro housing- an innovative solution to housing crisis. 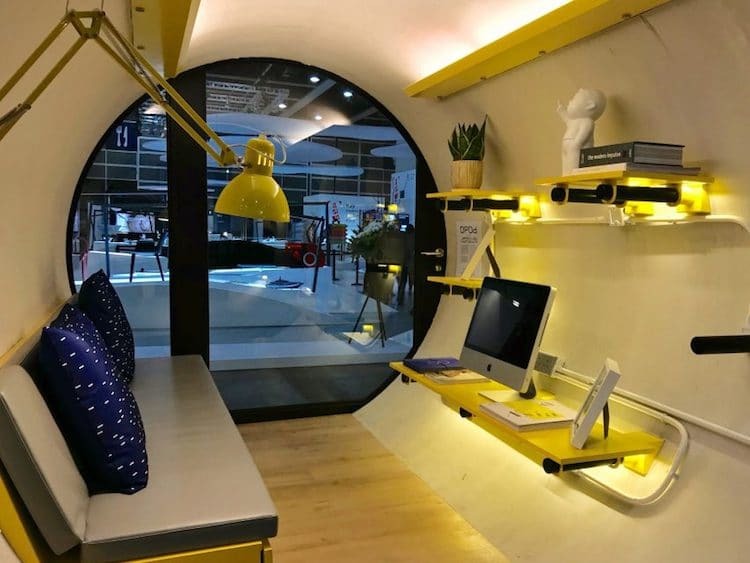 In large and overpopulated areas such as Hong Kong, housing prices are skyrocketing and for those looking for an affordable place to live, this pod may be the answer. With its simple, yet modern design, this tiny house maximizes on space with clever space saving solutions and embraces the tiny house philosophy of “less is more”. 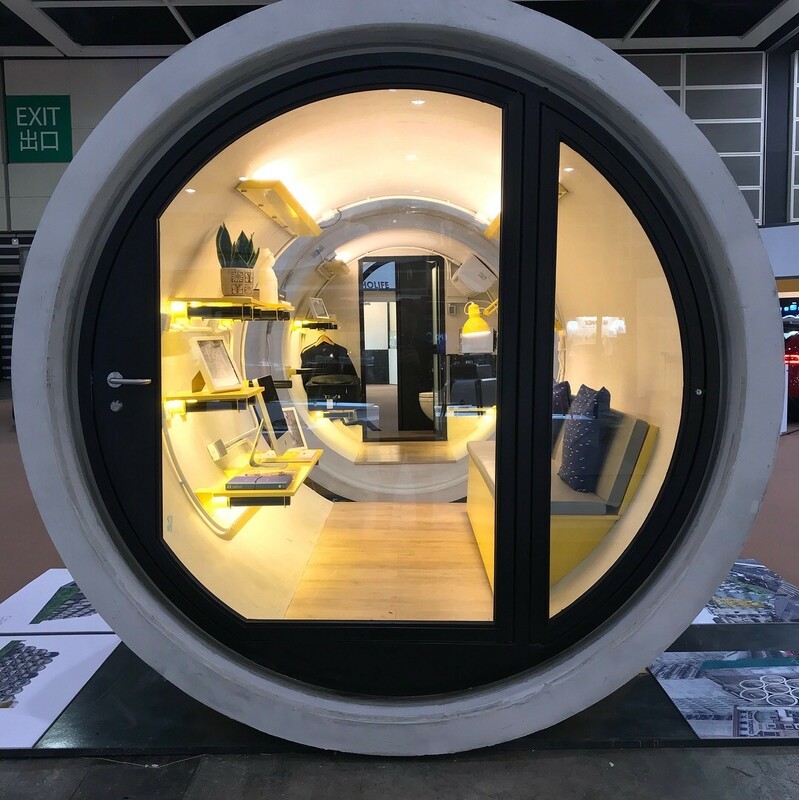 Made out of concrete water piping and designed by James Law Cybertecture, this tiny concrete micro pod named OPod Tube House is an experimental housing option to offer Hong Kong’s rising real estate market. These units are made at a low expense, cheap yet durable material and is equipped with smart technology. The pod itself is 2.5 meters or (8.2 feet) in diameter and is a total of 100 square feet inside. The interior can comfortably accommodate one or two people and is designed to be a micro living apartment with a comfortable living area equipped with space saving furniture that maximizes space, a kitchenette with a microwave and mini fridge, as well as a bathroom with a shower and toilet. Even more exciting, each Micro Pod house uses smart technology such as smart phone locks making it easy and convenient to secure your tiny house. As for construction cost, these micro pods cost an estimated total of $15,000 USD, which is super affordable and allow you the privacy of your own unit. Furthermore, the location of these tiny houses are flexible due to their ability to stack on top of one another and become a low rise building or can easily be relocated to another site or area of the city. Also do to their small size and ability to stack, they can be placed in urban areas that are unsuitable areas for regular sized buildings such as narrow alleys (between buildings). Amazing! What a fabulous idea.